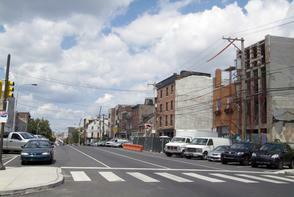 Second Street is one of the widest streets in the area, and for years it served as open-air market in Philadelphia. By 1795, this stretch of 2nd Street became an official city marketplace, complete with head house, and by 1800, the market extended three blocks from Pine to South Street. Stables housing saddle fitters punctuated the thoroughfare, and peddlers lined the street with their pushcarts hawking everything from clothing to produce and meats. Beginning in 1833, an omnibus—a horse drawn vehicle that served as an early form of public transport—ran down Second Street from Kensington to the Navy Yard in South Philadelphia, connecting the city's two industrial hubs. 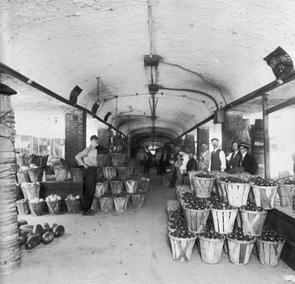 The 2nd Street market remained active into the 20th century, reinvigorated by Jewish newcomers and their market businesses. The 19th-century historian Townsend Ward described a typical scene of a "market day" in the 1860s: "On such a day the entire street for its whole three miles was lined with wagons [sic], …so loaded with provisions as to impress the beholder with the fact that he was in the center of one of the most bountiful regions of the earth." 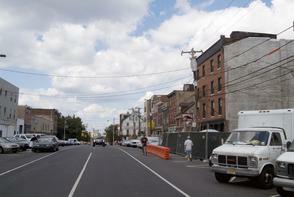 Commercial and social life have always coexisted on North 2nd Street. 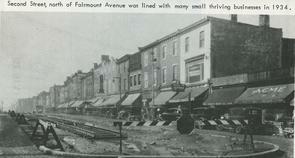 As a marketplace, highway and riverfront corridor, Second Street also has historically been a location for taverns and inns. Hotels in the Northern Liberties furnished inexpensive temporary lodgings for people seeking employment in the area's abundant mills and factories. 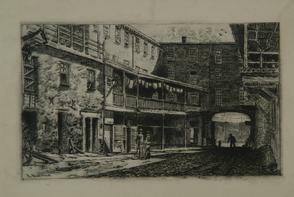 Hotel/tavern establishments like the Black Horse Inn, on 2nd just south of Callowhill, and the Rising Sun Hotel and the Bull's Head Hotel on north 2nd between Poplar and Laurel, served the area from the 1870s into the early 20th century. 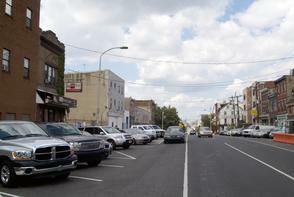 These blocks also served as a social center for the neighborhoods Polish immigrants, who opened several dance halls and taverns along 2nd in the early 20th century. Ward, Townsend. 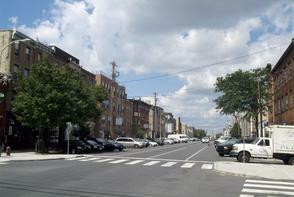 "North Second Street and its Associations." Pennsylvania Magazine of History and Biography, vol. 4, no. 1 (1880): 42 – 60.